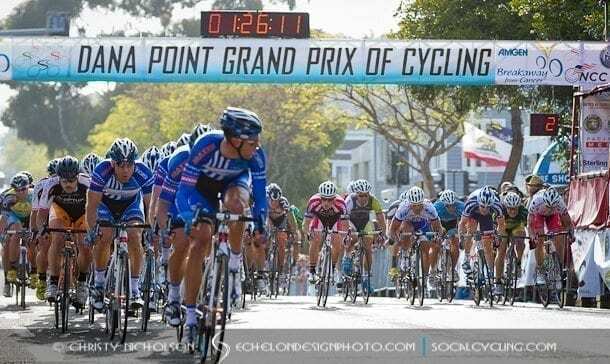 UnitedHealthcare to Title New Women’s Professional Team in 2014 - SoCalCycling.com - Southern California, Cycling, Cycling News, Amgen Tour of California, Bicycle Racing, Fun Rides, Cycling Event Schedules, Mountain Biking, Cyclocross, Cycling Photos, Cycling Videos, Interviews, Product Reviews. Momentum Sports Group, LLC, owner and operator of the UnitedHealthcare Pro Cycling Team, today announced it will launch a women’s professional team. The new women’s team, which will also be sponsored by UnitedHealthcare, will include 10-12 members. Momentum will announce the riders, as well as team director and staff, later this summer. The team will begin racing in 2014. The UnitedHealthcare Pro Cycling Team women’s program will focus primarily on racing on the domestic circuit, but once the combination of the 2014 calendar is announced and riders are signed to the team, Tamayo will determine the team goals and official race schedule. For more than a decade, Momentum Sports Group has built one of the most successful teams in the sport. Company President Thierry Attias believes strongly in the promise of what the 2014 season will bring. UnitedHealthcare has been a sponsor of the men’s team since 2009 and the title sponsor since 2010. UnitedHealthcare’s support gives the cycling team members and staff, the opportunity to promote the benefits of exercise, nutrition, goal setting and healthy living to people across the country. As ambassadors of living a healthy lifestyle, the pro cyclists on the team have reached thousands of people with that positive message. “UnitedHealthcare looks forward to supporting a team of amazing women athletes who embody good health and well-being. In addition to competing in races, cyclists selected for the team will serve as health and wellness ambassadors in communities across the country, inspiring both young and old to live a healthier life,” said Dave Tjaden, vice president, National Marketing at UnitedHealthcare Employer & Individual.